I drove past Dilworth Center before I successfully found it, and that's actually a good thing. Although our culture is making strides against the stigma and shame piled onto people suffering from addiction, it's comforting to know that their first step toward recovery doesn't have to take place in a public square like Trade and Tryon. Dilworth Center is tucked away off the main thoroughfare, accessible only through the back of a shopping center lot, bordered by a canopy of large trees and some private parking spots. Our region’s bikers love to ride, but they also love to give back, especially when it comes to helping children in need during the holiday season. 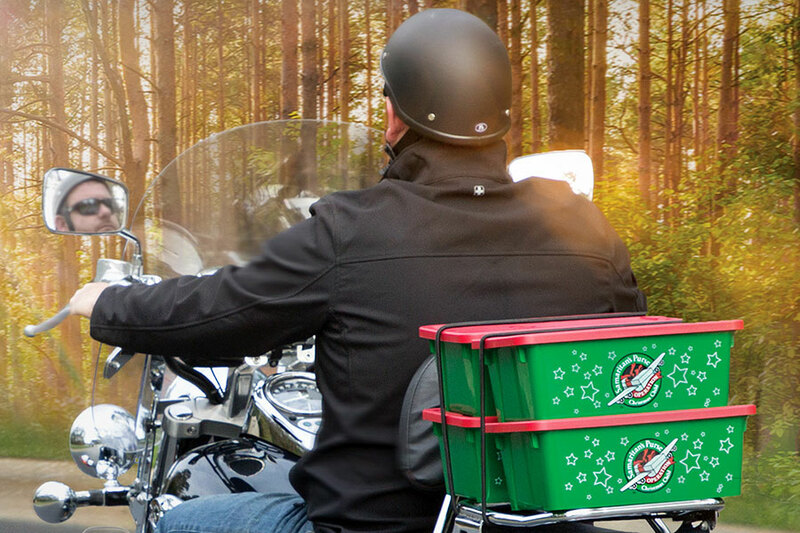 In 10 years, motorcycle enthusiasts have packed and donated more than 20,000 shoeboxes filled with holiday cheer for Operation Christmas Child through the Billy Graham Library’s Bikers With Boxes event. This October, SHARE Charlotte’s Spotlight Series: #RecoveringHope will focus in on our local nonprofit partners that serve those in our community who are battling addiction. The nonprofit organizations we will be highlighting this month restore hope to the hopeless through affordable counseling, rehabilitation programs, educational initiatives, and even housing and employment opportunities. These organizations make full recovery possible for individuals in our community who need a little help #RecoveringHope. Listed below are many of SHARE Charlotte’s nonprofit partners who work to serve to those in our community who have battled or are currently battling addiction. Read how they serve our community as well as how you can get involved with these organizations. You can also click here to explore all of our nonprofit partners who are not featured on this list but who may also serve a similar sector of need. 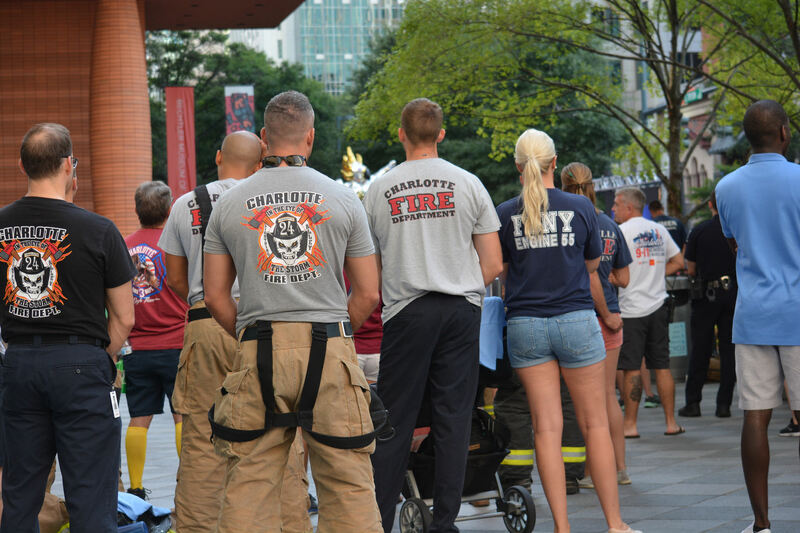 Charlotte’s celebrated Festival in the Park at Freedom Park has been a staple in our community since 1964. Last weekend marked the 54th Annual Festival in the Park and Charlotteans of all ages enjoyed strolling by art exhibits, listening to live music, shopping unique arts and crafts booths and then there’s the elephant ears, a Festival in the Park tradition! Festival In the Park began in 1964 when John Belk, then President of the Chamber of Commerce suggested to Grant Whitney, an insurance executive with Belk Stores Services, to create an arts show in Freedom Park. The idea of a Spring art show had been tossed around the prior year by the Chamber but had not materialized. Giving back is personal. It means something different to everyone. Why? Because everyone has something different to give. When you think about volunteering your time for a nonprofit organization, what comes to mind? Your first thought might not be to use your talents for GOOD, maybe it should be. Volunteering can be an outlet for you to use your individual skill set while also help a nonprofit who needs exactly what you’ve got! Did you know that your writing abilities, social media expertise, photography skills, or even knowledge of legal processes could be useful to a local nonprofit? Volunteering can be about giving within your wheelhouse of talent- and with 450+ nonprofit partners SHARE Charlotte can tell you first hand that no matter your talent, there is a nonprofit that could benefit from you sharing it! Passion is central to the origin story of Heal Charlotte. It all started two years ago, when protesters hit the streets of the Queen City in response to the fatal shooting of resident Keith Lamont Scott by an officer from the Charlotte-Mecklenburg Police Department (CMPD). No matter where you were on the morning of Sept. 11, 2001, you most likely remember exactly where you were, who you were with and what you were doing. I remember passing through my living room as I was getting ready for work that morning, stopping in disbelief at the images coming through my television. Though I didn’t personally know anyone lost that day, I sat by coworkers struggling to reach family members who worked at the World Trade Center. I remember their frantic phone calls and ultimate sighs of relief. But, I also remember -- and still remember -- the first responders, the brave individuals who risked everything to help those in need, not knowing what was taking place, and paying the ultimate sacrifice.